You are cordially invited to attend the 8th Annual Women's Luncheon "Women in the Arts". The event will take place on Friday, April 20, 2018, at Statler City, Terrace Room located at 107 Delaware Ave Buffalo, NY 14202. 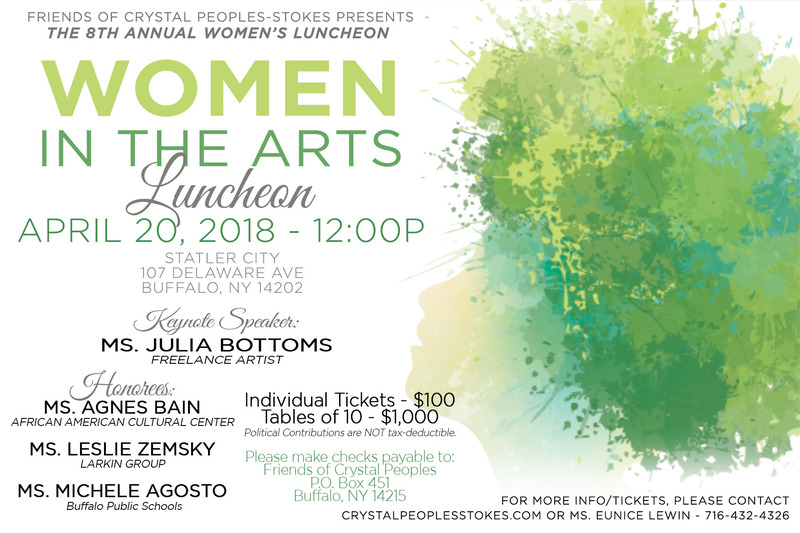 Should you have any questions or need additional information, please contact the host committee at friendsofcrystalpeoples@gmail.com or call Eunice Lewin at (716)432-4326.